Altitude information is one of the most important data pieces to realize unmanned aerial vehicle (UAV) autonomous flight. At present, the barometers equipped in the UAVs were used to measure the atmospheric pressure and convert the data to the altitude of UAVs. But the pressure will change drastically when the propeller of the UAV rotate and lead to inaccurate measurement values. 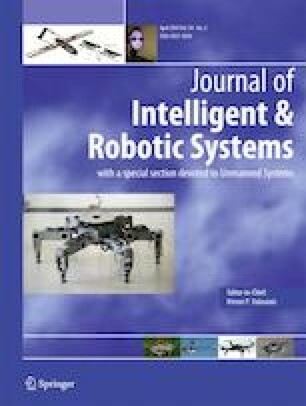 In this paper, a UAV height information acquisition method based on the information fusion of monocular vision and a microelectromechanical system (MEMS) is designed, which can obtain accurate height information in the indoor environment and low-altitude outdoor environment. The parallax is obtained by using two images taken in a short time during UAV flight in this method, and the acceleration data measured by the MEMS are used to compute the displacements of the UAV in this time as the baseline. The angle information measured by the MEMS is used to calibrate the images taken by the monocular camera of the UAV. Finally, the altitude information of the UAV is obtained with the theory of binocular stereo vision. Experiments have proven that the altitude information errors obtained by this method at 2 m is approximately 4%, which is less than barometer errors. A new image crop method was proposed to reduce computation, which meets the steady, fast and accurate requirements for practical application. The experiments show that our proposed method can obtain satisfactory results with respect to the state-of-the-art methods. This research was partly supported by National Natural Science Foundation of China under Grant (61374040, 61673277, 61503262) and Foundation for High-level Talents of Hebei Province (A2016001144).